Crash Bandicoot makes his return this year, making fans like me feel like little kids again. 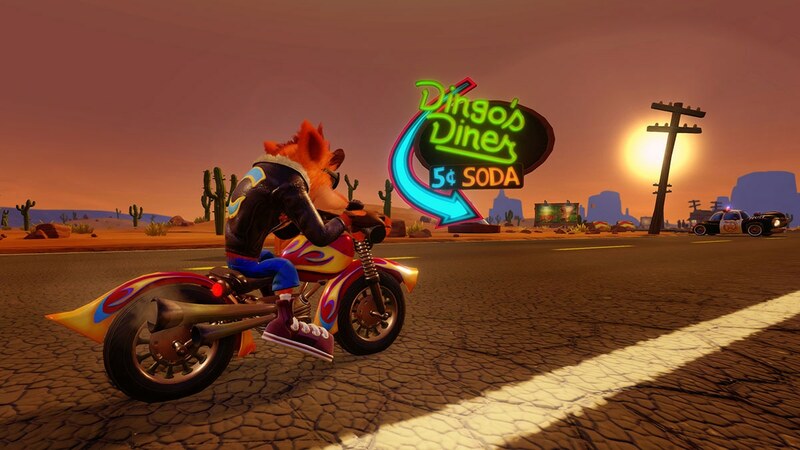 Throughout the memorable Crash Bandicoot series, from Vivendi Games to Radical Entertainment, Crash has been given tattoos, redesigns, and has even halted the collection of wumpa fruit. However, Vicarious Visions stepped up to the plate once again and gave us the marsupial we know and love through a remaster of his first three games. Now, fans can stop Neo Cortex and Uka Uka from enslaving the planet in HD. Crash Bandicoot N Sane trilogy includes the polished versions of Crash Bandicoot, Crash Bandicoot 2 Cortex Strikes Back, and Crash Bandicoot Warped in all their iconic, box breaking, wumpa grabbing and crystal collecting glory. The game has been thoroughly polished graphically. The landscape, background, and forests are more lush and defined. Blocky and triangular models have been replaced with curves, fur, cloth material, and individual teeth. The animations and cutscenes are crisp and detailed and have natural movements – allowing viewers to better understand and feel the emotions of the characters. The visuals are easy on the eyes with soft colors for atmosphere. The small feature of adding the use of the analog stick for movement goes a long way as it provides smooth controls and movements. Thanks to better controls, players can relive their childhood; the original Crash Bandicoot games for the PlayStation did not allow the use of the analog stick. It was a good call for Vicarious Visions to think about that. It truly is a life saver. The voice acting has been upgraded and Mark Mothersbaugh’s soundtrack has been enhanced. The catchy music complements the fresh look of the game: The tunes in the Tropics are upbeat, highlighting the areas’ chaos, while futuristic music is played in factories to go along with the robots and grinding gears. The voice actors sound very committed to their lines and this goes really well with the reworked animations to convey character, emotion, and to better emphasize relationships (like the smart sister and silly brother bonding between Crash and Coco). As a huge fan of the Crash Bandicoot series, I felt like a little kid and old at the same time upon remembering the enemies, bosses and some of my favorite levels. I took the time to prepare some snacks as I planned to go on a Crash Bandicoot spree. Hilariously, my PS4 controller messed up and I had to play with the directional pad just like the first game, so I received the full Crash Bandicoot experience during my playthrough. Nevertheless, the soundtrack and familiar levels started a flash flood of nostalgia in my head. Memories of when I finally got my hands on a PS1 to ride crazy, low resolution polar bears came back to me. I ran from giant boulders and lost numerous lives from failing to jump on the backs of hippos. I must admit: It felt refreshing to visit one of my favorite Crash games along with Ripper Roo and Tiny Tiger after all these years. Crash Bandicoot N. Sane Trilogy gave me the opportunity to play Crash Bandicoot Warped for the first time. After playing, I wasn’t surprised to see that five hours had passed while I was jumping through time portals trying to stop Cortex once again. There seems to be a trend going on that sets 2017 as the year of nostalgia for gamers. Crash Bandicoot N Sane Trilogy isn’t a new addition to Crash’s history/ But it is a series that gamers will be happy to relive. There’s no need to hunt for a PS1 or dust off the good ol’ PS2 because Crash is back and we hope he’s here to stay.